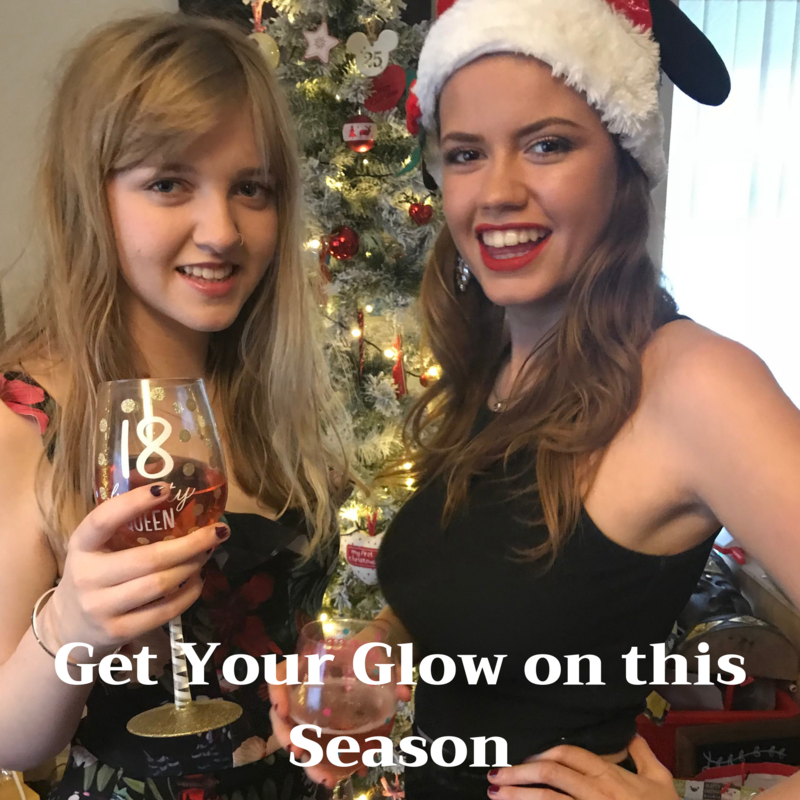 I have been looking at some great ways to get your glow on this Christmas, to make you look and feel as festive, sparkly and glowing as possible! New underwear – get your bust measured by a department store specialist. A properly fitting bra can work wonders in making you feel and look better. Posture – simply pulling your shoulders back and standing tall can make you appear taller, slimmer and more confident. Dancing the night away? Invest in some gel insoles or some soft handbag shoes to save your feet for another night of dancing! Nails – You don’t need to splash loads of cash at a nail bar. I have several nail polishes from Poundland that are quick drying and brilliant quality. At only £1 each you can change your nail colour every day! Use acetone free nail varnish remover to help protect your nails. Nail varnish is so much better for your nails than gel or shellac too. Redheads can really rock a bold red lipstick. Choose a red with orange undertones. Choose a raspberry lipstick which will complement and warm up the cool pink undertones found in very fair skin. A pinkish red will suit your skin tone best. Look for a deep vivid berry red. A medium complexion with light golden tones suit a true red and any undertones in the lipstick should be orange, not blue. For a warm medium skin tone with a neutral undertone, a blue-red hue is the perfect shade of red. Look for a brown-based red. Make sure the shade has a hint of plum to contrast with your complexion, and a shimmery finish to enhance the glamour. Try choosing an orange-based red, which will complement the warmth in your skin. Tan or olive skin with neutral tones can rock a bright cherry red with a slight glossy sheen. Look for a deep merlot shade. An opaque blue-based red will be the best for this skin tone. A metallic creamy ruby red lipstick with shimmer will look awesome, or a wine-hued gloss. I hope these tips will help you get your glow on this season. Please let me know if you any more tips to share? I really do need to book myself in for an underwear fitting because my bras are all slightly different sizes and I’m sure they’re all a little bit off! Love the tips for looking fabulous. The nail varnish is a great idea especially if it is quick drying, plus the price is a bargain. Obsessed with this post, there are some fabulous tips on here! I can’t wait to start wearing Christmasy makeup! I cannot emphasis enough how much better I’ve felt after getting remeausred with my bra! New underwear always makes you feel so much better. I love your guide on the right lipstick colour for the perfect red shade as it can be a bit overwhelming to find the right one! Oh there’s something about a bit of a glam in the festive season! I love the lipstick ideas.